Immigration in the Twenty-First Century is a comprehensive examination of the enduring issues surrounding immigration and immigrants in the United States. 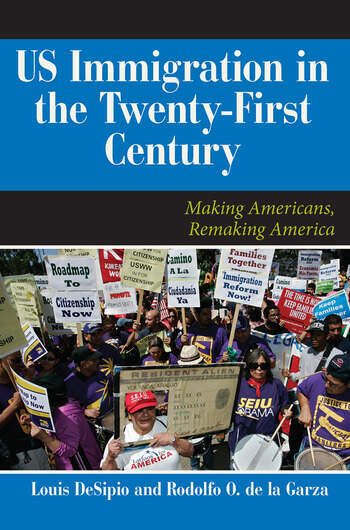 The book begins with a look at the history of immigration policy, followed by an examination of the legislative and legal debates waged over immigration and settlement policies today, and concludes with a consideration of the continuing challenges of achieving immigration reform in the United States. The authors also discuss the issues facing US immigrants, from their reception within the native population to the relationship between minorities and immigrants. Immigration and immigration policy continues to be a hot topic on the campaign trail, and in all branches of federal and state government. Immigration in the Twenty-First Century provides students with the tools and context they need to understand these complex issues.